Powerhouse – Combining brilliantly innovative tap, precision clogging and explosive stomp into “Percussive Dance”, Powerhouse is an electrifying dance experience that thrills audiences of all ages. 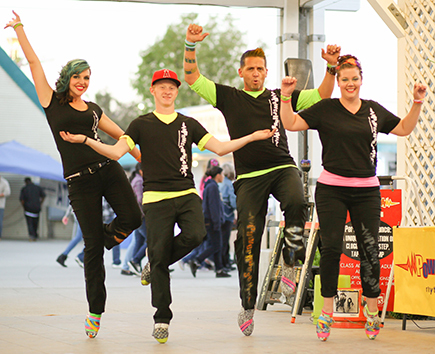 Featuring the very best competitive dancers, these performers entertain from start to finish. Drawn in by the dancers’ amazing energy, incredible talent and great audience interaction, crowds can’t help but join in the fun of a Powerhouse performance. Powerhouse’s Arts in Education Show performs for students in PACs nationwide.